Last time, we went over Bar Charts you could create from Counts of Unique Values. However, sometimes you want to convey more information than just simple counts. For example, you could have a number of parts from different models. The number of occurrences themselves don't offer much value, so you may want a chart displaying the means, sums, or even standard deviations of the different parts. It's this case that we're after when we go to Graph > Bar Charts > Function of a Variable. 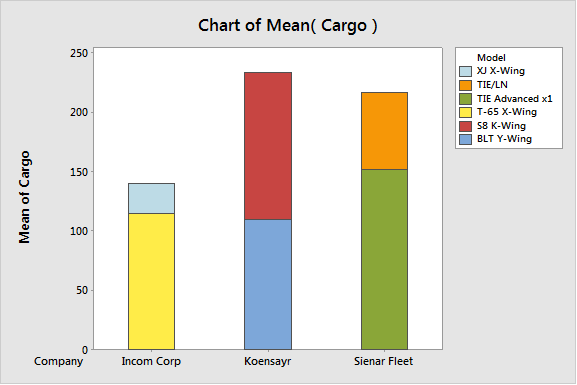 We’re interested in two variables: the size of the ship, and how much cargo the ship can hold. 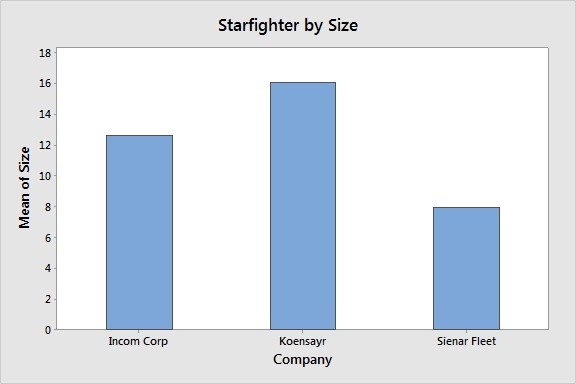 We have 6 different models of starfighters built by 3 different corporations. We can use bar charts to compare how these different groups of fighters are being produced. 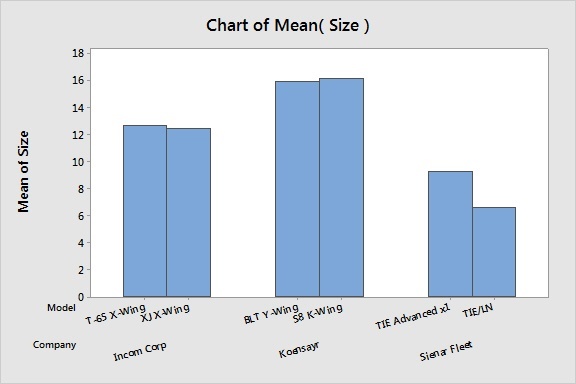 We can see that Koensayr Manufacturing, who are known for K-Wing and Y-Wing starfighters, comes out on top with the largest size. 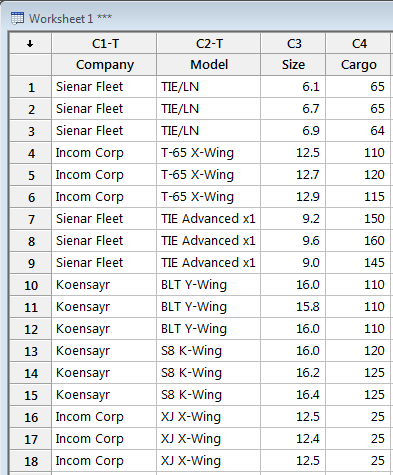 Sienar Fleet, on the other hand, produce smaller ships. They are mainly known for producing the smaller TIE Fighters. They key takeaway from this graph is that if you have a number of observations for each category, Minitab Statistical Software will then perform an operation on them to get what is actually plotted. We can also use more than one categorical variable and either cluster them or stack them. In my last post, I discussed innermost and outermost grouping variables, and we can use that same logic here. 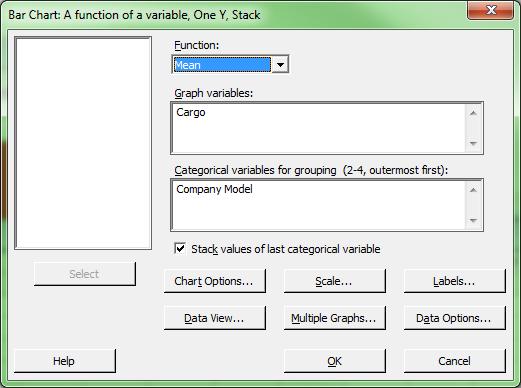 If you have two categorical variables, you can just enter them in your dialog consecutively. If we are interested in not just the size by company, but each model as well, we will enter Company first, followed by Model. We are still interested in the mean, so we will leave that as is.